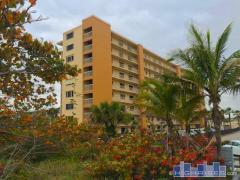 South Shores Oceanside is a condo tower that was built in 1986 and stands eight stories tall. Amenities at South Shores Oceanside include private balconies, a heated swimming pool, and garage parking. Have any comments or questions about South Shores Oceanside? Ask your question and/or share your thoughts about this Building.